We recently added credit card payments as a new payment option to our Elmastudio WordPress theme store (which runs with WooCommerce). Before we only offered payments via Paypal, but we wanted to find a more flexible additional option for credit card payments. Therefore we chose the online payment service Stripe for our store. For us the biggest advantage in using Stripe was that we wouldn’t need to store any sensitive customer data on our own servers. All payment details are handled through Stripes secure platform. As with Paypal all payments get collected in our Stripe account. The difference is that you can set up a regular automatic payment transfer to your local bank account, where in Paypal you need to make the transfer manually. Stripe is an American company that gets more popular by online store owners internationally as well. The pricing is similar to Paypals pricing strategy. You don’t pay any monthly fees, which is great for smaller stores. You only pay a set fee for each payment plus a percentage of the price bought by your customer. The prices vary a bit depending our your country, you can find more details on Stripes pricing page. With Elmastudio we were looking into a credit card payment option for quite a while. Stripe got only recently available for store owners in New Zealand. You can check the list of countries, where Stripe is offered already (more get added regularly). For store customers it doesn’t matter, which countries are available, as long your credit card used is a valid one. It’s pretty easy to set create your own Stripe account. You will need the account, if you want to offer Stripe as a payment option in your store as well. The sign up is fast and easy to understand. 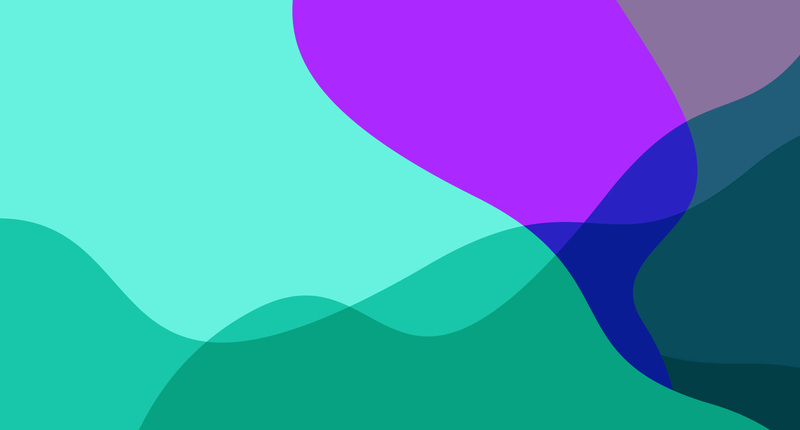 Customers in your store will then be able to pay with their credit card and all transactions will be managed by Stripe and payments will be added to your Stripe account immediately. If your company has more than one shareholder owning over 25% of the company, you will to verify this shareholder online in your Stripe account. The process only takes a couple of minutes. As soon as your Stripe account is active you can install the free WordPress plugin WooCommerce Stripe Payment Gateway to add Stripe as a new payment method to your WooCommerce powered online store. After the plugin activation you will find the plugin settings under WooCommerce / Settings / Checkout / Checkout options / Stripe. You will need four Stripe API keys (to test mode ones and two live ones), which you can find under API in your Stripe account menu. 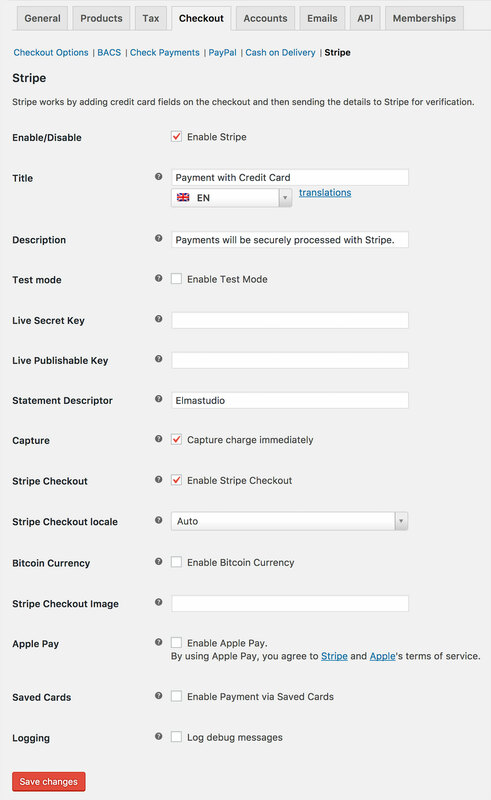 The WordPress plugin settings for Stripe are pretty uncomplicated. First your need to activate the test mode, so that you can test that the new payment option is working, before accepting live payments. You can also decide, if you want to use the standard form your WordPress theme offers or Stripes own checkout form (which shows up in a little lightbox pop up window). We chose the Stripe form for our Elmastudio store. We set the Stripe checkout form language setting to “Auto”, so the form language will change for users from different countries. Since we have a multilingual WordPress website (using the WPML WordPress plugin), we also have an additional string translation setting available. Since we use Xero as our accounting software, I was more than happy to discover that I can connect Stripe to our Xero account. You can just add Stripe as a new payment service. The Xero documentation offers a detailed how to. We use Stripe for a few days now and we’re pretty happy with the positive feedback from our store customers. I felt that the setup was much easier compared to setting up Paypal with WooCommerce and it didn’t take much time at all. Of course for most shops Paypal will be most important, but I think it’s great to have an alternative real credit card payment option available. What is your experience with Stripe? Have you used the service already or do you have any additional advice on setting up Stripe for WooCommerce stores? I would love to hear your feedback and tips. Please just write me a comment, I’m looking forward to hear from you. Thanks for the review! I was wondering what your experienceis with Stripe (and PayPal?) and VAT? I also wonder if you create and sell logo designs! How about getting it to work without the stripe checkout? ie no modal and using your own domain which needs an SSL?